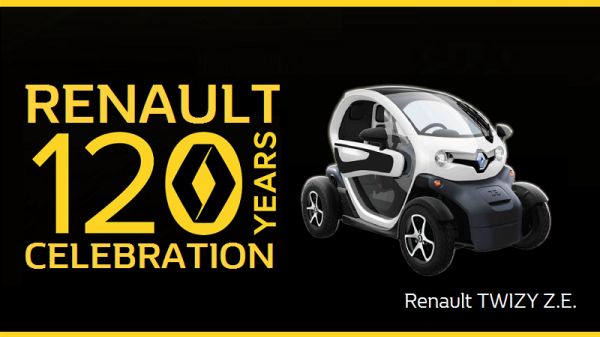 Renault Buy and Win Contest, participate now, buy a Renault car and stand a chance to win a Renault TWIZY. Organized by TCEC Cars Sdn. Bhd. (Company No. 113605-D) (“TCEC”). (a) Purchase any ONE (1) unit of Renault vehicle from the Organizer or the Organizer’s authorized dealers (“Vehicle”). (b) Register the Vehicle in the participant’s name under private vehicle registration. (c) Complete and answer one (1) question as set out by the Organizer in “Renault Buy and Win” contest form (“Contest Form”). (d) Submit the duly completed Contest Form together with a photocopy of the Vehicle’s registration card and identity card to the Organizer.